Florida is truly an amazing state in the union. Everybody thinks of Disney World, but the agriculture also is a major player in the economy. This is a place where the aerospace industry has many employees and international banking has many branches. 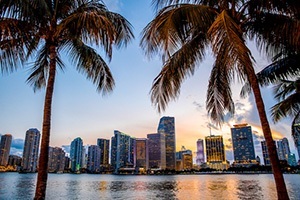 Whether it is Miami or Pensacola, employees want benefits that provide the right kind of assistance. A group legal plan is something that Floridians find to be extremely worthwhile. People in the Sunshine State include those who lived here for generations, and recent immigrants from the Caribbean. Immigration is a very important issue, and people need help with the paperwork. They also need services from public agencies. But there may be language barriers that cause problems. Countrywide Pre-Paid Legal Services has the Personal Legal Protector Plan to provide important support in a time of need. Disputes arise because of the warranty can go all the way to a small claims court. Countrywide attorney can help interpret the warranty as one of our group legal plan services. If the problem goes to small claims court, a plan member can expect a Countrywide attorney to help prepare the evidence. Employees in Florida should expect service that goes the extra mile. That is what they get from Countrywide. If the settlement is awarded by a small claims court. Countrywide attorneys will help the plan member get what is owed. That may include correspondence on letterhead stationery and filings to garnish the other party’s wages. A group legal plan member has the right to call a Countrywide attorney an unlimited number of times a given situation. Communication is further encouraged with face-to-face consultations. Some employees who are unfamiliar with the legal system may be hesitant about what to do. Countrywide understands that and our attorneys are noted for superior personal skills. They will sit down with any plan member and calmly explain everything. The result is relationship developed, that encourages trust and delivers results. This is the kind of attention to personal detail that private insurance exchanges want to see. Those groups also appreciate any flexibility in the design of plans. Countrywide involves the employer in the design. We want them to tell us what should be in the group legal plan intended for their respective employees. We have discovered in our more than 26 years of operation that executive management appreciates this. Human resources also likes having a say in what is offered to employees. A relationship of mutual respect and cooperation is engendered. Our administration is intended to keep no one waiting. Countrywide attorneys know that group legal plan members expect immediate help. That is exactly what is provided. We do not have a lot of cupcake paperwork for a plan member to fill out. A Countrywide group legal plan provides immediate service and quick results. That is really how a benefit should operate. We provide the very best because our clients are the very best. Going the distance is something we do almost instinctively. Our legal plan assures your employees complete confidentiality and is usable in Florida and throughout the country. Although business related matters are not eligible for services under our group legal plan, our network of experienced attorneys can assist with an endless number of other matters.